After President Donald Trump was informed in May that special counsel Robert Mueller had been appointed to oversee the Trump-Russia investigation, Trump unleashed a torrent of insults upon Attorney General Jeff Sessions and told him he should resign, The New York Times reported on Thursday. Trump reportedly said he believed Mueller's appointment was Sessions' fault for recusing himself in March from the Russia investigation. 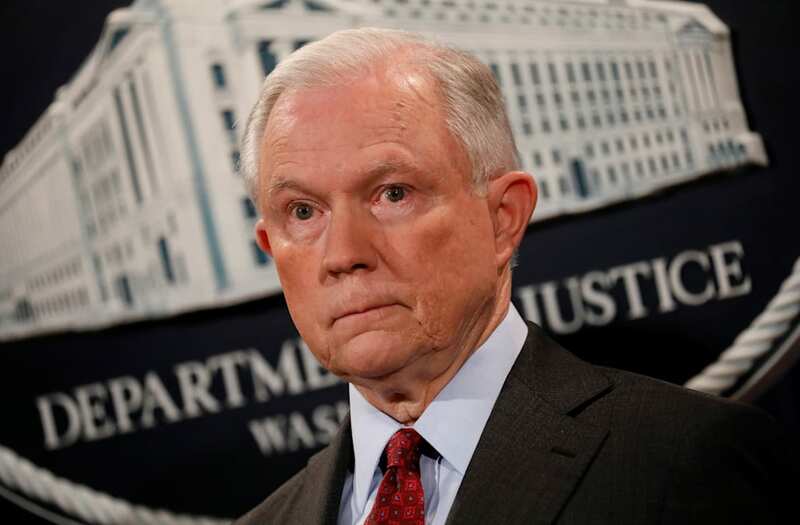 Current and former administration officials told the Times that Trump accused Sessions of "disloyalty," called him an "idiot," and said his appointment as attorney general was the worst decision Trump had ever made, leaving Sessions, in the words of the Times, "ashen and emotional." Sessions later told associates that Trump's demeaning tone during the conversation was the most humiliating experience he's undergone in decades of public life, the Times reported. The Oval Office conversation reportedly took place on May 17, after White House counsel Don McGahn was told in a phone call with Deputy Attorney General Rod Rosenstein that Rosenstein had decided to appoint Mueller. McGahn then delivered the news to Trump, who immediately began raging at Sessions. Yet after Sessions complied with Trump's demand and submitted a resignation letter, Trump eventually rejected it. Top advisers — including Vice President Mike Pence, then-chief strategist Steve Bannon, and then-chief of staff Reince Priebus — had reportedly convinced Trump that dismissing Sessions would only exacerbate the public scrutiny around Trump, who at that point had also fired the FBI Director James Comey and the national security adviser Michael Flynn. Trump has made little secret of his disdain for Sessions in recent months, publicly berating the attorney general throughout the summer after telling the Times he would not have chosen Sessions for the job had he known Sessions would recuse himself. Trump also criticized Sessions' decisions at the Justice Department and referred to him on Twitter as "weak" and "beleaguered." Sessions later described Trump's public tirade against him as "hurtful," but added that he intended to remain Attorney General unless Trump "wants to make a change." Sessions allies told the Times he wants to remain in the position because he believes he has a "once-in-a-lifetime" opportunity to crack down on illegal immigration.